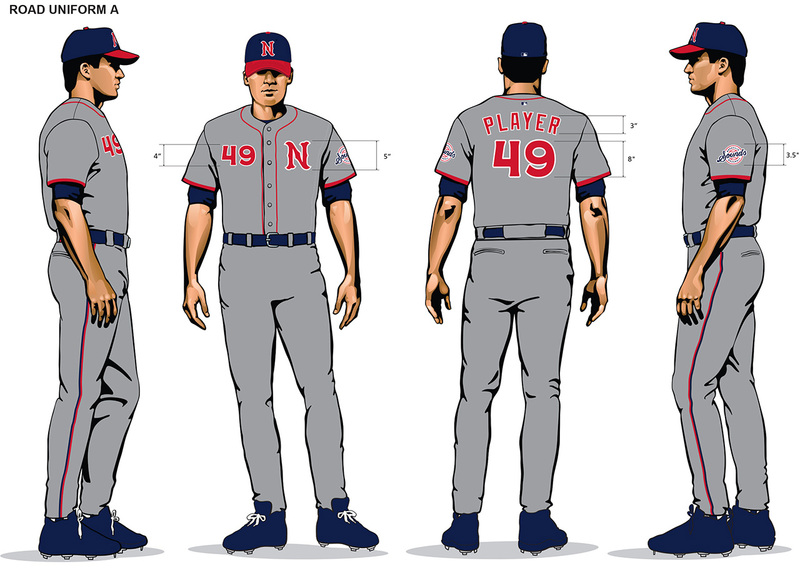 The Miami Marlins were not the only baseball club presenting new logos and uniforms. So did the Nashville Sounds. 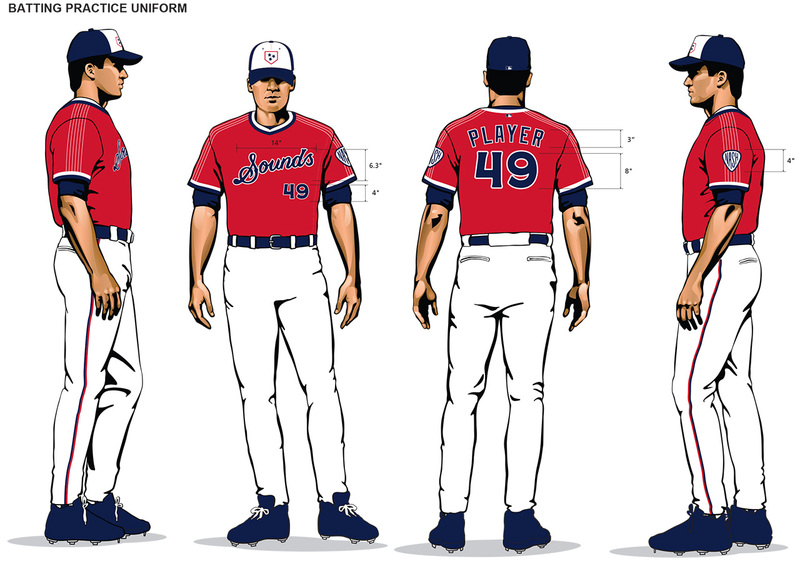 Pretty soon after the club signed a PDC with the Texas Rangers, the Sounds announced a rebranding that would link the club more to the parent club. New Nashville Sounds logos, marks and branding were unveiled yesterday, as the team turned to a classic look while borrowing elements from the Tennessee state flag and other local musical influences. Next to several logos (primary and secondary), the uniforms had a major overhaul. 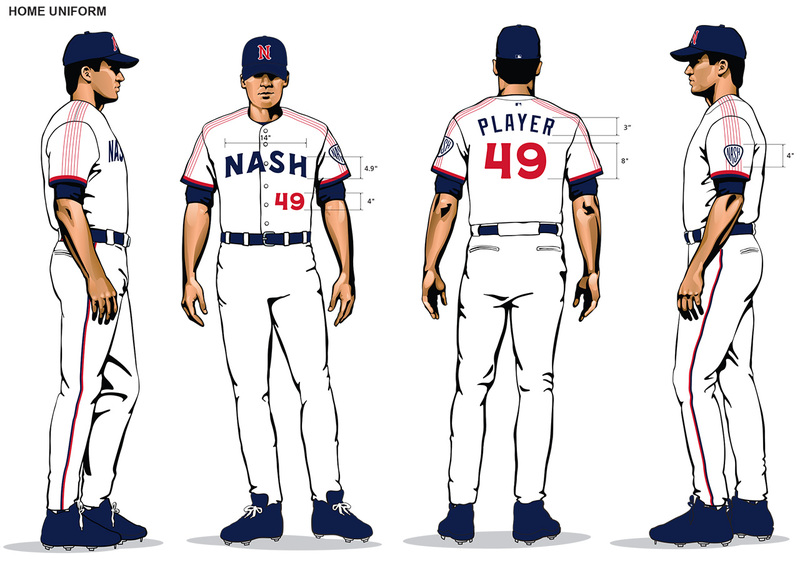 The home unis are white and sport the name Nash on the front. On the sleeves, you can see thin lines running down. These lines represent the music industry as they feature a stylized “NASH” pick in front of six guitar strings. The home cap is all navy and sports a red N with a white outline on the crown. The road unis are grey (of course) and sport an N on the left chest. It is the same N that can be found on both the road and home cap. The road cap is navy with a red lid. 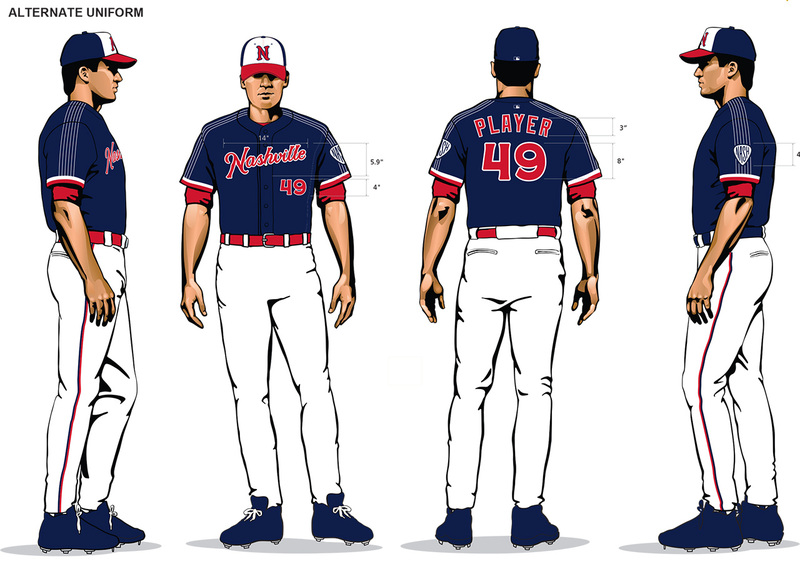 The alternate uniforms have a navy jersey, sporting the name Nashville in red with a white outline, and white pants. The alternate cap is navy with a white front and a red lid. The alternate jersey sports the same set of strings on the sleeves as the home jersey does. The BP jerseys are red pullover jerseys. They come with a navy BP cap with a white front that sports a home plate with the three stars of the Tennessee state flag. The lid of this cap is navy as well. One can wonder if the new look is an improvement over the old one but I must say that the new home cap certainly is. The navy cap with the red N is a real eye-catcher.